Tech enthusiasts eagerly waiting for the Samsung Galaxy X folding phone should look this way. 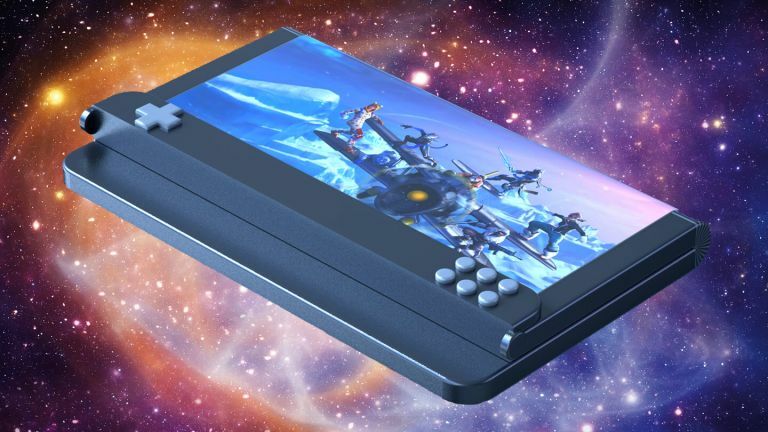 That's because the South Korean tech giant is planning a gaming version of its folding phone with a screen that allows games to played in both phone and tablet mode, and a set of physical gaming controls that can be folded away when not in use. Samsung's new gaming handset could go head to head with a new 5G PSP from Sony, which is rumoured to be in development. The tantalising tech, which was first spotted by Dutch tech site LetsGoDigital in a patent application filed by Samsung, will no doubt get gamers salivating in anticipation, with the device packing a simply stunning pair of AMOLED screens, 4.6-inch on the front and 7.3-inch on the inside, which look ideal for playing the latest and greatest mobile titles. The folding gaming phone, which looks like a Samsung Galaxy X for gamers, is described in its patent as "Display device", and was published on January 29 successfully by the United States Patent and Trademark Office (USPTO). While we've seen patents before showing similar devices with folding screens that allow both smartphone and tablet functionality, we haven't seen one that includes a dedicated, foldable selection of gaming controls, with a full D-pad and six circular push buttons on display. This set-up would be ideal for using the device when not gaming, as it would hide away the buttons when not in use and help maintain a clean and professional look. As can be seen in the folding phone concept video below, a larger internal central screen would not only allow gamers to enjoy their games on a bigger screen, which would aid immersion and gameplay (you could more easily spot enemies, for example), but would also grant them the ability to browse the internet, watch movies on streaming services like Netflix and consume content on social media easier and with greater fidelity, too. While the form factor, screen sizes and gaming controls are listed in the Samsung Galaxy X for gamers-style device patent, what isn't listed is what sort of internal hardware will power the device. However, to successfully display games on that big and bright AMOLED screen the device would absolutely necessitate a powerful internal processor such as the Snapdragon 855 or Samsung's own Exynos 9825, a good suite of RAM (around the 8-12GB mark), and a very capacious battery cell, the latter almost certainly needing to be in excess of 10,000 mAh. While it remains to be seen if Samsung is actually planning to release this device, one thing is very clear to us here at T3.com – a device like this could be the perfect vehicle for a 5G connection, as that could then allow awesome Remote Play-style cloud-to-mobile or console-to-mobile AAA gaming experiences to become a reality. Hopefully we will see more of Samsung's folding screen tech at MWC 2019 or, if not then, at its Samsung Galaxy Note 10 Unpacked event in August, where we could also be seeing the launch of the much-wanted 5G Samsung Galaxy S10.